Don’t say that things must be done only this way. Listen to other perspectives with respect. Don’t try to impose your ideas upon others. 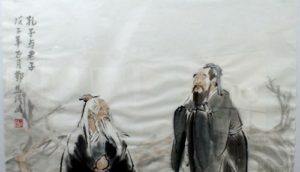 Unsurprisingly, The Analects by Confucius is widely read by leaders in China, Korea, Japan and Singapore, and there has been a growing interest in the leadership lessons of Asian sages. For example, Samsung invited a Lao-Tzu expert twice to its lecture series for Group Presidents. Samsung’s Chairman Kun-Hee Lee frequently quoted the teaching of another Chinese philosopher Han Fei-Tzu (280-233 BC) to his executives and three children who are now leading the Group: “A third-class leader uses his own ability, a second-class leader uses another’s power, and a first-class leader uses others’ wisdom.” One can easily conclude that a third-class leader is a Diminisher and a first-class leader is a Multiplier. The five disciplines of Multipliers may not have been practiced widely in Asia, however, they have been embedded in great Asian leaders’ common sense for over 2,000 years. Thus, it is about time to do more research on successful Asian business leaders and their traits in order to build a truly inspiring global leadership model with the best combination of East and West. Apple currently has Rhapsody as an application, which is a superb start out, nonetheless it is presently hampered by way of the incapacity toward retailer locally upon your iPod, and is made up of a dismal 64kbps little bit selling price. If this alterations, then it will fairly negate this advantage for the Zune, however the Ten new music per thirty day period will even now be a big plus in just Zune Pass’ desire.